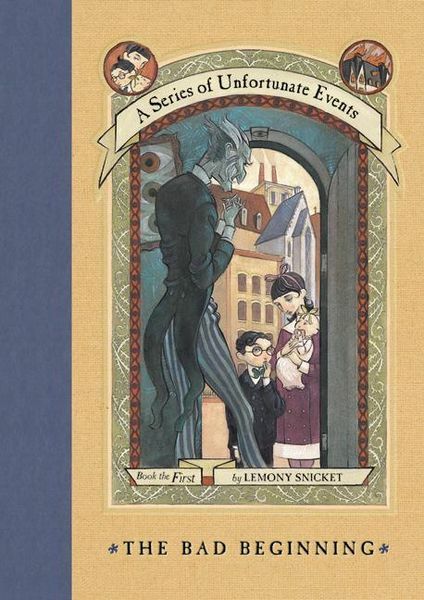 My son loved these books so much we ended up naming one of our regular dinners ‘Lemony Snicket’ in honour of the author! That’s funny. My son loved the books too. He made it almost to the end of the series but was getting older by the time the last few came out so I don’t think he finished. I’ve been reading his new series (All the Wrong Questions) and have really enjoyed his writing. I will have to go back and read Lemony Snickett. How is the new series? I’ve enjoyed it so far. I’ve read the first two. It’s very clever. But my son tried it and he didn’t really like it. I feel like the author is really writing more towards adults with his dialog and humor. My son just didn’t find it funny, but I did. Thanks. I’ll have to give it a try then. It was good wasn’t it. I’ve read all the series and I would definitely recommend them to anyone who wanted an adventure, with a cliff-hanging ending and a book you can’t put down! I agree whole heartedly. A great kid series that I loved as an adult.